LOS ANGELES, December 3, 2017	(Newswire.com) - Unikrn (https://unikrn.com), the world’s top regulated esports wagering platform, and CoinCircle (https://CoinCircle.com), the leading end-to-end tokenization solution for existing high-growth companies, partnered for the creation of UnikoinGold (https://UnikoinGold.com) and completed the largest-ever esports and gaming token sale. CoinCircle is excited to announce that UnikoinGold will be the first token in their upcoming platform token, the Circle Coin (https://coincircle.com/circlecoin). The UnikoinGold token sale opened the weekend of Sept. 24 and quickly grew to become the most successful token sale in esports to date with over $40 million sold*. The public token sale followed UnikoinGold’s blockbuster pre-sale with accredited investors, which included notable names such as Mark Cuban, Brock Pierce, Blockchain Capital, Pantera Capital, Draper Dragon and CoinCircle. Immediately following the token sale, Unikrn's announced a major upcoming market expansion across the European Union. 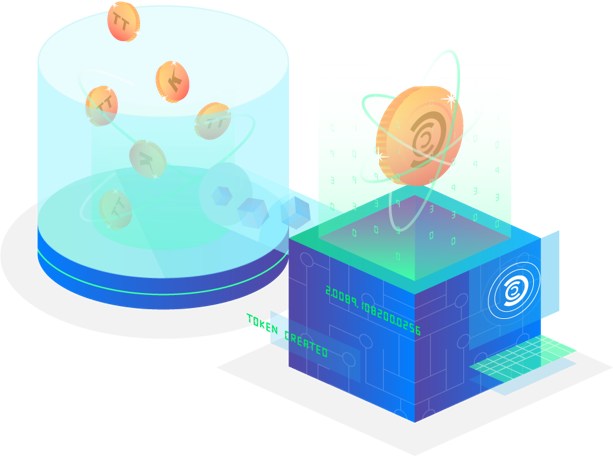 CoinCircle worked closely with Unikrn from conception to completion, across all stages, including content authoring, design, engineering, marketing and sale of the UnikoinGold token. 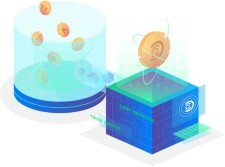 As major stakeholders in Unikrn, and as the first token developed as a part of CoinCircle’s platform, CoinCircle is announcing they will be adding all of their significant holdings of UnikoinGold to their Circle Coin token collector contract. The Circle Coin will be a token enabling access utility to exclusive areas of CoinCircle's platform. The new coin will collect a percentage of all utility tokens on the platform, such as UnikoinGold. Over time, it’s expected that the CircleCoin will hold a significant percentage of the highest-quality utility tokens. It's impressive to watch Unikrn's talented team execute flawlessly, just days after the sale has closed, already creating key industry partnerships and announcing huge market expansion plans across the European Union - these are moves that will dramatically extend the reach of UnikoinGold globally; both deeper, and more broadly into the growing esports and gaming markets. “CoinCircle's collaboration with Unikrn is bringing it to the next level for engineering, marketing and execution to launch a successful custom cryptocurrency with excellence and integrity,” stated Rahul Sood, CEO of Unikrn and creator of Microsoft Ventures. "It's impressive to watch Unikrn's talented team execute flawlessly, just days after the sale has closed, already creating key industry partnerships and announcing huge market expansion plans across the European Union - these are moves that will dramatically extend the reach of UnikoinGold globally; both deeper, and more broadly into the growing esports and gaming markets," said Erick Miller, CEO, CoinCircle. “Beyond our role in helping conceptualize and co-develop the token, the smart contracts and the token sale, we are also big believers and stakeholders in UnikoinGold; we're committed and long-term holders of UKG. We’re absolutely thrilled the sale went so well and, adding to that, the new incredible momentum UnikoinGold will experience due to its many key industry partnerships combined with Unikrn's recently announced expansion across the entire EU market - which is why we're thrilled to announce the UnikoinGold token as the first token that will be held by the upcoming Circle Coin," added Miller. Unikrn’s UnikoinGold token was developed by CoinCircle as an ERC-20 utility token that operates as a new innovative decentralized feature within Unikrn's esports product. For credible companies with mature products or services that work with CoinCircle to deploy a token, such as Unikrn did, the success of the token sale is just the beginning and lays the groundwork for the company to experience a whole new stage of growth. With well over $40M in UnikoinGold sold, Unikrn is now well positioned to deliver on its huge vision as the premier universal token for esports. For more information on the Circle Coin, visit www.coincircle.com/circlecoin. For more information on the UnikoinGold token, visit www.unikoingold.com. CoinCircle powers token sales for established companies, moving industry-leading products onto the blockchain by integrating a token as a core part of their existing product or service. As an end-to-end tokenization solution, CoinCircle designs, engineers, funds and markets token sales. The founding team brings deep expertise in blockchain architecture, blockchain development and engineering, cryptocurrency trading, full stack development, design, branding, growth marketing, digital media, venture capital, finance, JOBS Act securities legislation regulations and equity crowdfunding. For more information, visit CoinCircle.com. Established in 2014, Unikrn is leading the world of bookmaking for esports and video games. Since launch, Unikrn has established itself as a leading esports brand, woven into the fabric of the rapidly growing esports community. Their global product portfolio and contributions include the Unikrn wagering platform, esports team ownership, tournament series, multiple original content platforms, sponsored community creators and a group that works with casinos to attract modern gaming audiences. CoinCircle is an end-to-end digital token solution for high growth technology companies. CoinCircle designs, engineers, markets and sells token sale campaigns for established companies with market-leading products.